Pleasant Hearth pellet stove is one of the affordable and energy efficient pellet stove available in the market. It is affordable for small family and mobile home users. 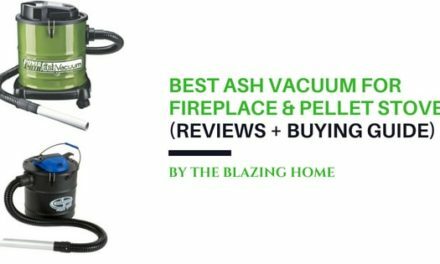 Pleasant Hearth pellet stove reviews on Amazon, eBay, and other well-known e-commerce indicate and prove that it has very decent heating efficiency and most importantly very large and sufficient hopper storage space. As this stove is portable and lightweight, you can shift or move this cabinet style pellet stove to any room without any trouble. Pleasant Hearth pellet stove comes with a vast range of features which will amaze you in every aspect of your daily life. 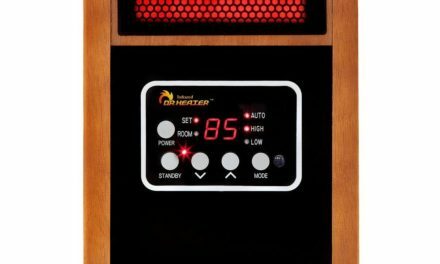 Heat up your room with a short amount of time and gives you a lot of heat up to 24 to 70 hours with a low use of pellet. The heating capacity of this pellet stove is amazing. It produces 50000 BTUs, is more than enough to heat up your home and room. The vast BTUs of this pellet stove is effective and efficient for you and your family. 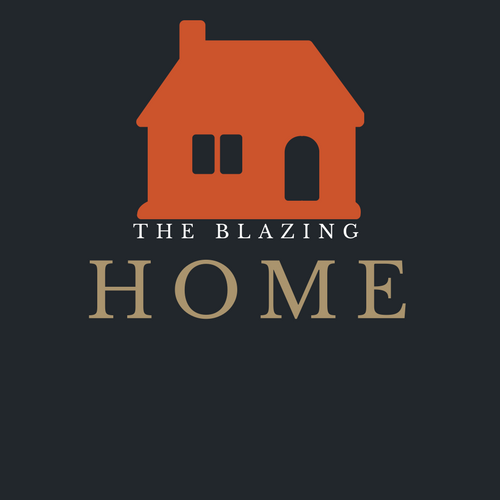 It’s capable to heat more than 2200 square feet which are sufficient for your family. 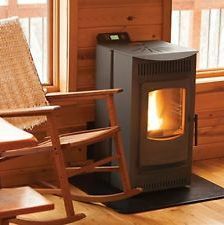 This pellet stove has a large hopper, is a nice addition to this stove. The capacity of this stove is 120lb. so it can store a vast amount of pellet which can heat up your room for 24 to 70 hours. You can relax in your room and don’t need to be tense when you come from work or other places. 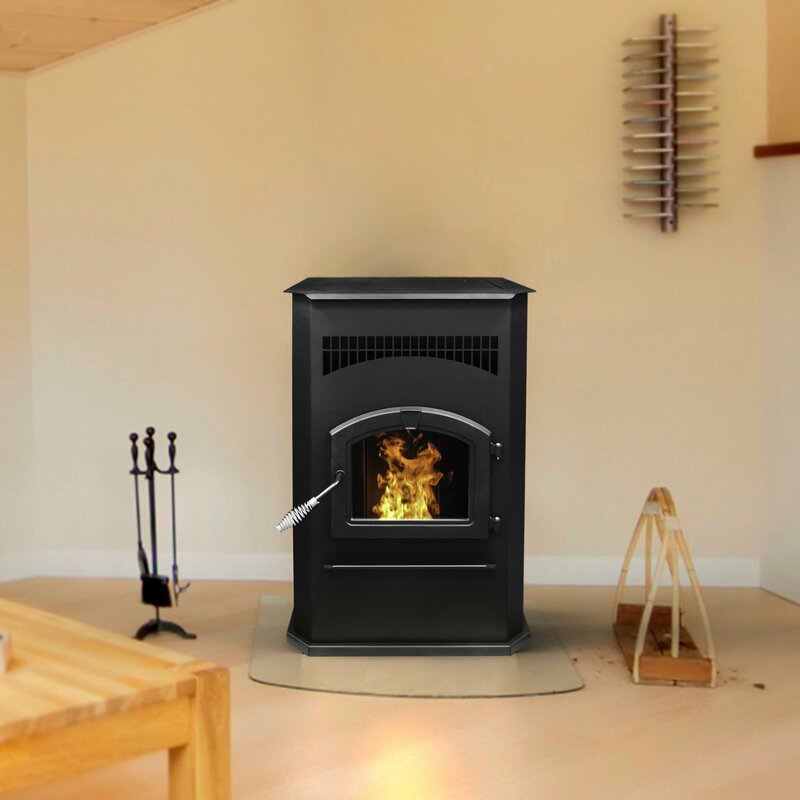 This awesome pellet stove will always heat your room with its big hopper capacity. Pleasant Hearth pellet stove is certified by the United States Environmental Protection Agency. It has an 85-percent efficiency rating. That means it will not cost you a large amount of pellet. So you can be in your budget. Its particulate emission rating is 0.69g/hr. The automatic ignition system is a wonderful addition to this pellet stove. Make your life easy and comfortable. You can operate this stove more easily and comfortably like you have never done before. 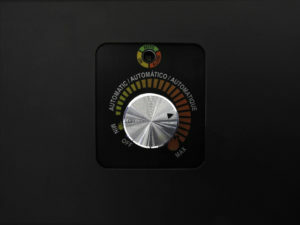 You can easily set a heat level by the help of 1 knob and the system will automatically work by itself to maintain the level. This digital panel uses less time and strength to heat up your living space. This air kit is also included in the pellet stove which is an excellent work by the maker. You can 60$ for buying this stove. It helps you to generate the combust air throughout the chimney so that it cannot make contact with any burning stuff inside your house and makes your house safe. The stove can operate more reliably by this stuff undoubtedly. Pellet stoves are the classic way to generate heat properly in the house. The convection blower continuously operates inside the stove so you can get more heat inside your house. It uses the pellet many more times so the house can heat up by using more and more pellet. It promises you the best use of the pellet because it prevents unnecessary use of the pellet. So this stove is also economical. Moreover, the blower operates quietly so you can relax in your house comfortably. Now you can heat up your more comfortable than any other pellet stove. Because it can operate smoothly by the min or max control system. You can operate this stove more easily and comfortably like you have never done before. You can easily set a heat level by the help of 1 knob and the system will automatically work by itself to maintain the level. One of the greatest pellet in the market. By this not only you can heat up your house but also you can use this stove in your mobile home. It’s one of the best features of pleasant hearth pellet stove. Now you can enjoy your vacation with its heat more comfortable and It uses less space. Don’t be tensed and use the best of this pellet stove because it comes with 5 years of warranty. If any disturbance happens within 5 years the company will always be there for you. The customer service is really good and customer friendly and just a one call away from you. So if there any demurrage happens you can get full of their service anytime you want. The price of Pleasant Hearth pellet stove is reasonable compared to other top pellet stove brands. 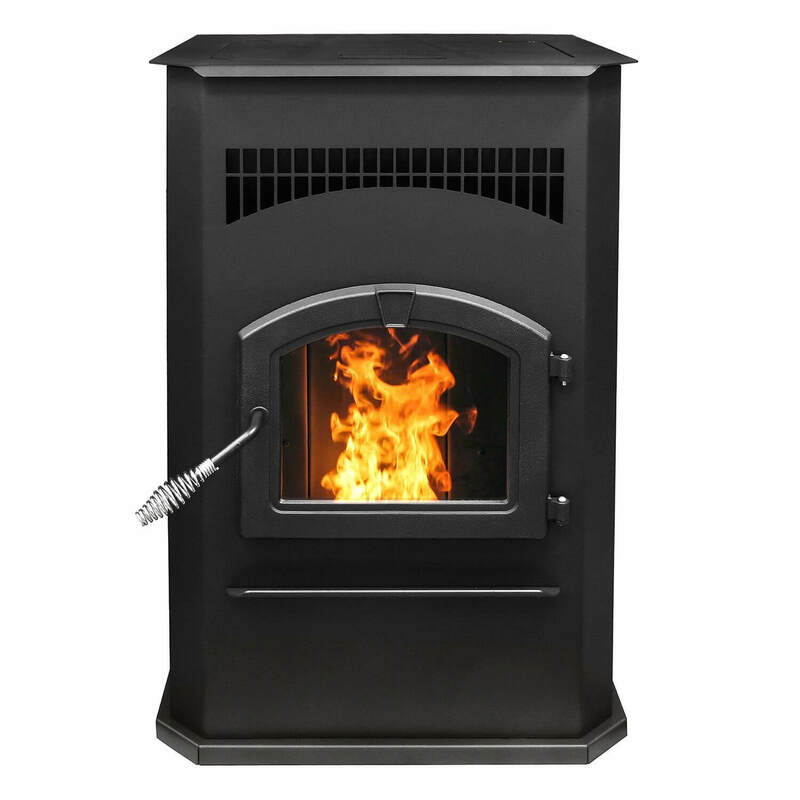 At this affordable price range, it is the best pellet stove available in the market. The variation of features and other things above we think it’s the most suitable pellet stove for your family or your mobile home. You will not regret after buying this pellet stove. You will not regret after buying this stove. Probably the best functioning stove in the market. The pellet stove is much more efficient, clean and easy to load. Do not worry about the stove running out because pleasant hearth pellet stove has a large hopper. You can use all kind of pellets but if you use a high grade that will create low ash. Some may find the sound of the convection blower bit loud because of the rubber bushing but it’s not that loud. The green light of the dialer stays until you move the dial. For great functionality of the stove, you have to wash the ash pan daily with the vacuum cleaner. The most durable pellet stove available in the market is pleasant hearth 50,000 BTUs pellet stove. The durability of this product has never been questioned. The body of this pellet stove is made of solid cast iron. So it’s durable than any other pellet stove in the market. The body is heat resistant and safe for children and older person in the family. It comes with a 5 years warranty from the manufacturer. So don’t worry and use the stove as long as you want. The customer service is always one call away. The design of this product is no different than any other products in the market. The only available color for this pellet stove model is black. A large glass viewing window gives the stove a nice look but you have to wash the glass window if you want to enjoy the view. Digital comfort control system is another interesting thing at this stove. Sometimes the color rust easily but if you have the warranty the customer service who will always at your service. 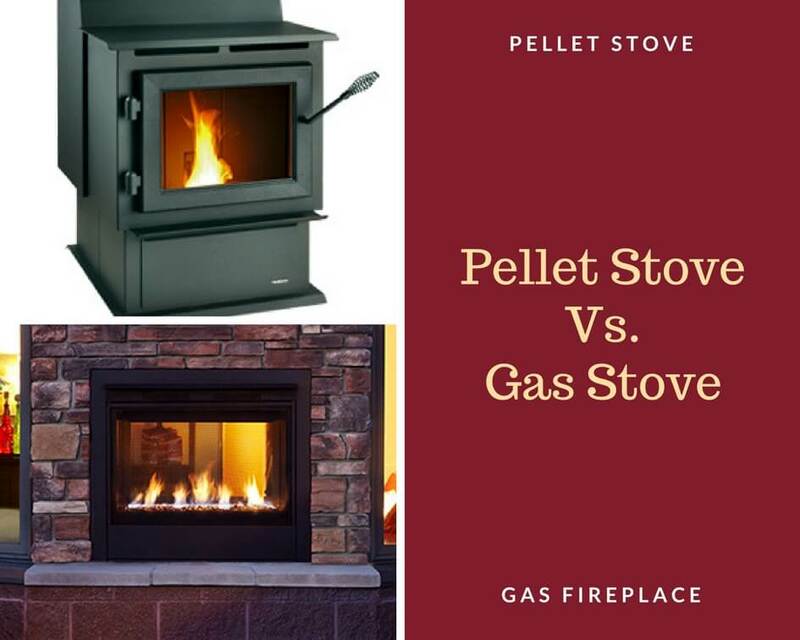 Comparing with other pellet stoves this is the best pellet stove available in the market for sure. It can heat up your room easily with a short amount of time. Best for the small family and mobile home users. It only takes a space of 3 inches. The sound of the convection blower may become loud at sometimes because of rubber bushing inside the stove. You have to wash the air pan daily for great heating. Ques: What kind of pellet should be used in this stove? Can this unit burn small logs or cut up wood pieces? Ans: Only wood pellet should be used in this pellet stove. For better heating and less smoke, premium grade pellet is highly recommended to use for burning. This stove is only run by the wood pellet stove. Don’t wood or logs instead of wood pellets. Ques: Does this unit have a convection blower? Ques: Is outside air kit required for this stove? Ans: This model of pellet stove already includes an outside air kit. So, you have to purchase any additional air kit for this stove. Ques: Does this unit need electricity to run? Ans: Yes, this unit will use a little electricity to run the blower. Ques: Where can you find parts? Ans: Contact the customer service of Pleasant Hearth. Pleasant Hearth 50,000 BTUs pellet stove is the best and most functional pellet stove available in the market which comes within your budget. This durable pellet stove is very economical because it uses small amount of pellet keeps your home warmer. Use a small space of your home. NextGas vs wood vs electric fireplace : Which Fireplace is Best for You?